Some of you may know or may not know that I haven’t always been a chef in my adult working life. Besides a selection of jobs in music stores and the like, I Studied and worked as a professional actor from the age of 16 until my late twenties. I have, however, always had a passion for cooking, food and the enigma of chefs. Whilst pursuing other artistic endeavours, I read everything I could about food, restaurants and chefs, practising basic skills at home so that when I did enrol at college I already had a good base to build from. Now, after much more experience, I often ask what keeps me motivated because this can be one of the most challenging and demanding industries to work in. It is probably the only industry where everyone on the planet has their own opinion, because everyone eats! Everyone has their own subjective point of view; one man’s foie gras is another man’s tofu! If someone tells you that their grandmother’s apple pie is much better than yours, then that’s that, there is no convincing otherwise. It is a hard road to travel and I believe that our side of the industry is even more of a challenge than we are given credit for. I often find myself in a social situation trying to convince people that I am a good chef and that I haven’t settled for a less skilled and easier side of the profession. As I’ve said, I believe that what we do is much more difficult and requires more awareness and a greater skill set than a lot of our industry peers. 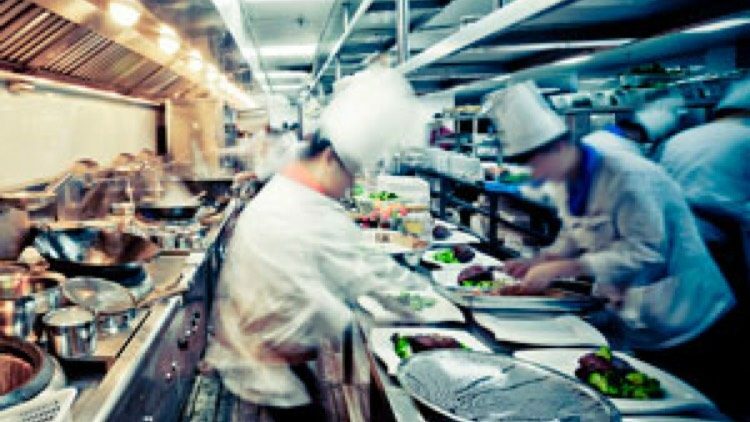 As a contract caterer you need to be the master of all cuisines, a retail guru, a patisserie god, a baker extraordinaire, a magnificent manager and innovator. All these skills, just to be thought of as a canteen cook!!!!!!!! This Christmas I had the pleasure of eating out at one of Winnershs’ shining culinary hotspots, The Holiday Inn, and found myself in one of these uncomfortable situations where I am justifying what I do, to total strangers. Here I was, standing up for myself and our industry, while the Holiday Inns’ kitchen team were aiming for the celestial heights of gastronomic mediocrity……and still falling very short!! I won’t go into detail about what in particular on the menu left me whimpering and I’m only able to talk about it now (which my doctor says is great progress). I am not a food snob, but needless to say, it was expensive, poorly executed, insipid and visually unappealing. However, the success of the meal was articulated around the table in a very different way. This is all a matter of perception derived from an environmental experience (please see Pete Redman’s ‘violinist in the subway’). Because the meal was costly, in a nice looking hotel, with bubbles on arrival, uniformed waiters, then the customer believes it to be of a higher standard, as opposed to our more affordable approach.